Antique car collecting and restoration is a very popular hobby practiced by many around the world. A quick drive through my town turns up with a handful of classic cars parked in their respective driveways, some in pristine condition, and others not-so-much. While some people end up eventually fixing up their classics, many also do not. 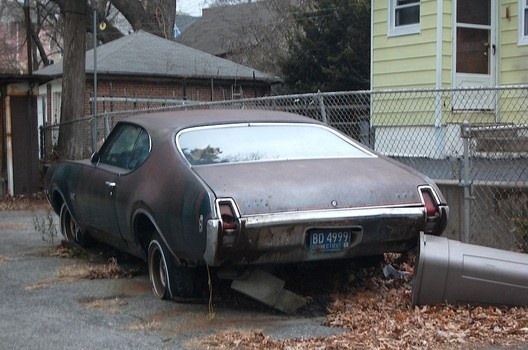 Some cars end up rotting away, left to be either salvaged or sold off in pieces—mostly due to time consumption and excessive costs. Instead of letting your baby waste away, why not keep it closer than you ever imagined? With the help of Instructables user BILLETSURFER, you can convert your classic car into a scintillating new piece of furniture. 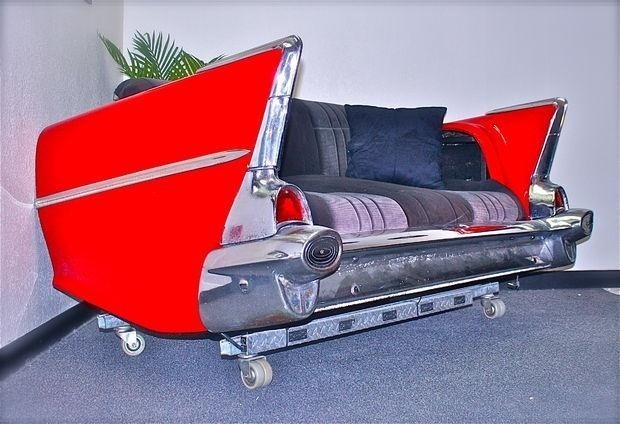 The project, done with the rear section of a four-door 1957 Chevy Classic sedan, allows you to enjoy the ride every time you watch your television! While the cost of the project isn't much, the amount of labor and time it takes dealing with it is quite costly, especially if you're working with rusted metal. After working on the tedious build, BILLETSURFER polished all of the chrome and painted the remainder with a lovely shade of red. The video below shows the Chevy Classic Couch in action, with a little added "wow factor" that BILLETSURFER highly recommends you add to your build. Note: if you have any questions in regards to your own unique build, feel free to contact BILLETSURFER for suggestions or a parts list.